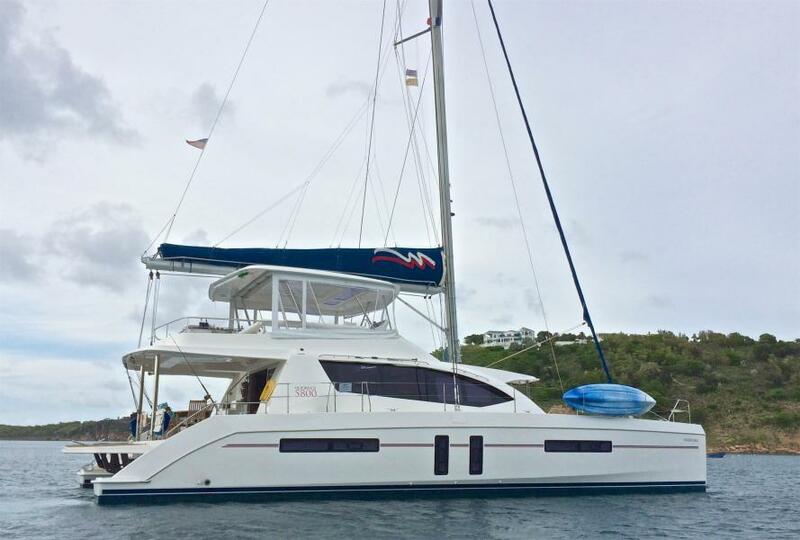 The Leopard 58 flagship catamaran designed by Robertson & Caine, pushes the limit in catamaran design and the most revolutionary yacht ever offered by The Moorings. 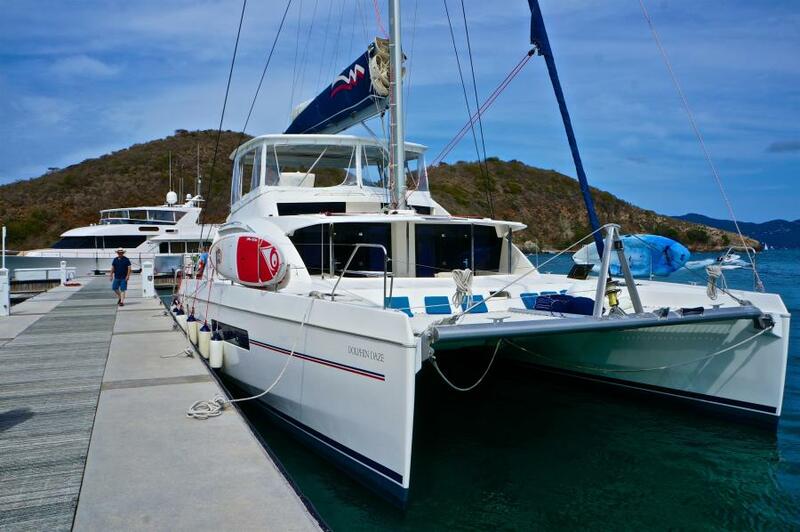 Be the envy of the waters as you cruise this Yacht featuring six guest staterooms - all with private en-suite baths! 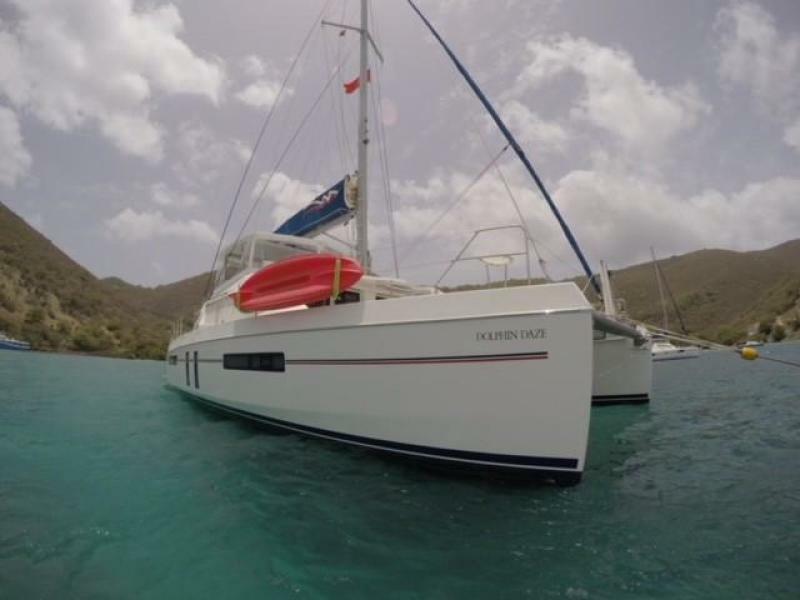 With spacious floorplans inside and out, teak-style decking, state-of-the-art equipment and air-conditioning, this cat is perfect for a luxurious and comfortable sailing for up to 12. 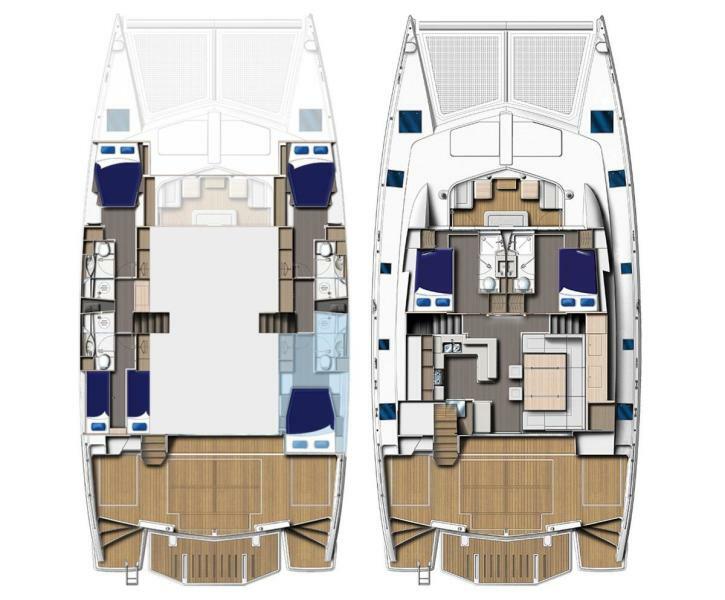 A highlight of this yacht is the innovative split level accommodation plan with 2 guest staterooms on the main deck level, as well as 4 guest staterooms on the lower deck. 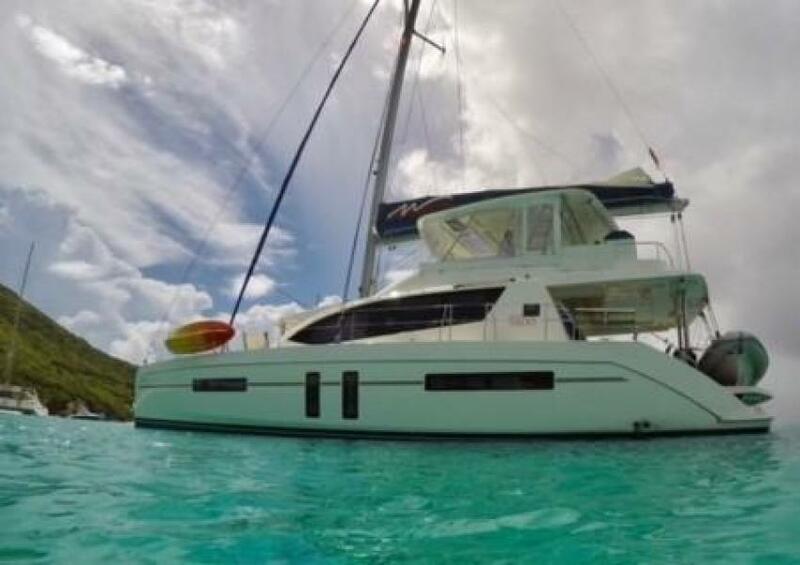 In addition, the Moorings 5800 features a huge forward cockpit that was a pioneering design feature first offered on Robertson & Caine's award-winning Leopard 44 (2012 Boat of the Year). 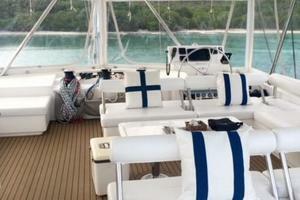 Also on the main deck, the saloon features a large dining table with plush wrap-around seating and wet bar. 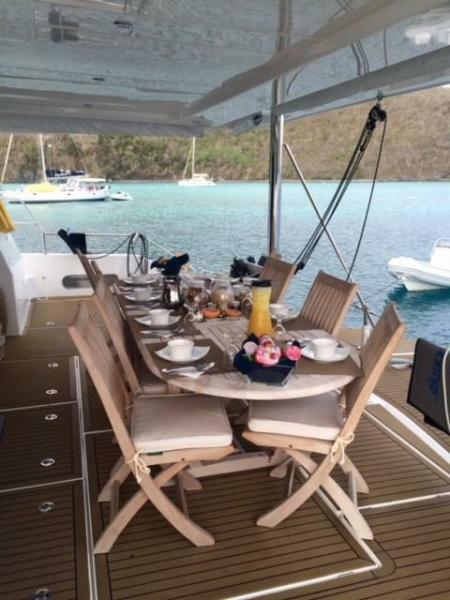 Located just outside the saloon’s sliding glass door, you can drink and dine al fresco in the sweeping aft cockpit with teak outdoor furniture. 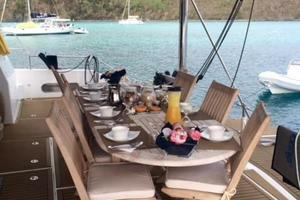 Your well-appointed galley with a large refrigerator, 2-drawer freezer, 4-burner gas cooker with oven & broiler, and microwave offers all the tools necessary for dining afloat. 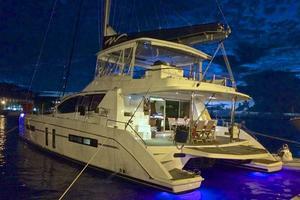 The 5800 is a pleasure to sail, from the fly-bridge, stylish lounge seating, additional propane grill, and wet bar/refrigerator. 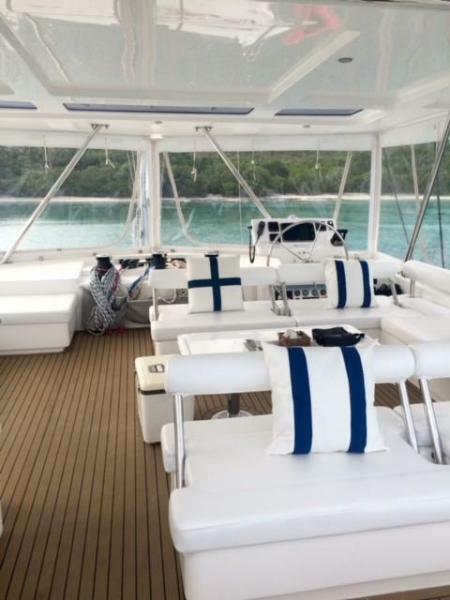 This is the perfect 360-degree; vantage point for optimal outdoor sailing enjoyment of your surroundings,This yacht is supported by leading all sail control lines to the helm station for complete control, as well as electric winches. 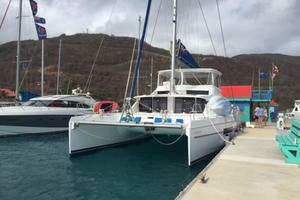 Solar panels, an inverter, and a generator support power needs. 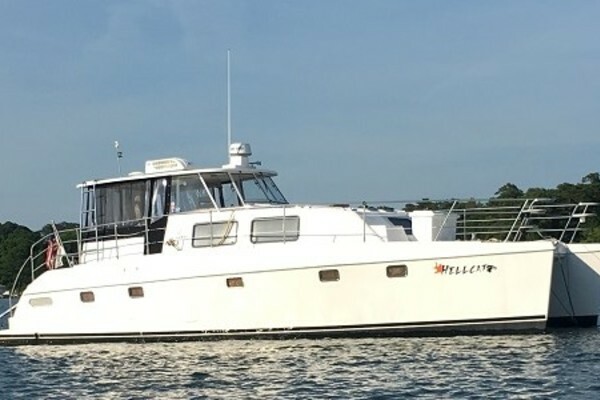 A complete entertainment system is provided with a 46” flat screen TV/DVD player, onboard WiFi, Apple TV, CD stereo with MP3 connection, and cockpit and fly-bridge speakers, making this yacht perfect for creating sailing memories with family and friends. 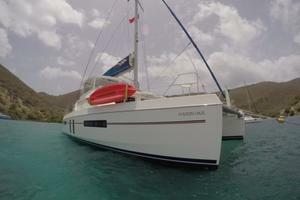 See Full Specs for the CREWED YACHT additional options and equipment. 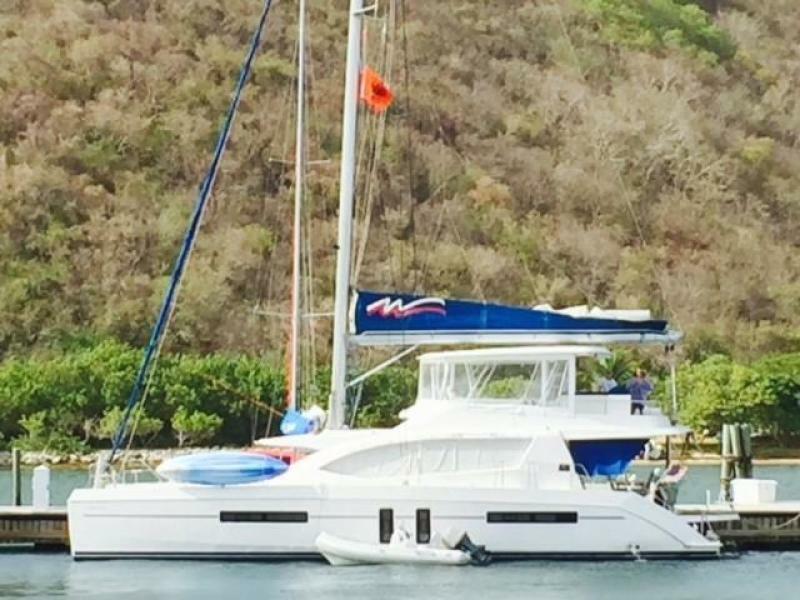 NEW Listing on theonly M4800 on the market. 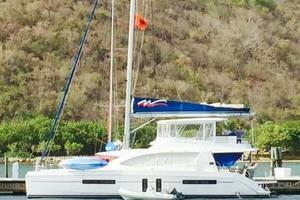 Photos and specs coming. 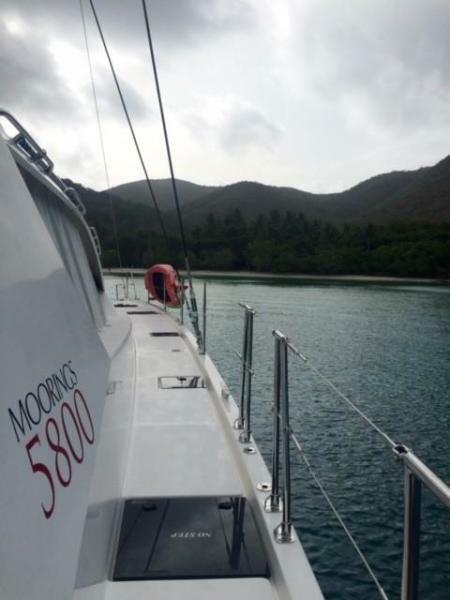 The boat is currently in MooringsPhase-out procedure. 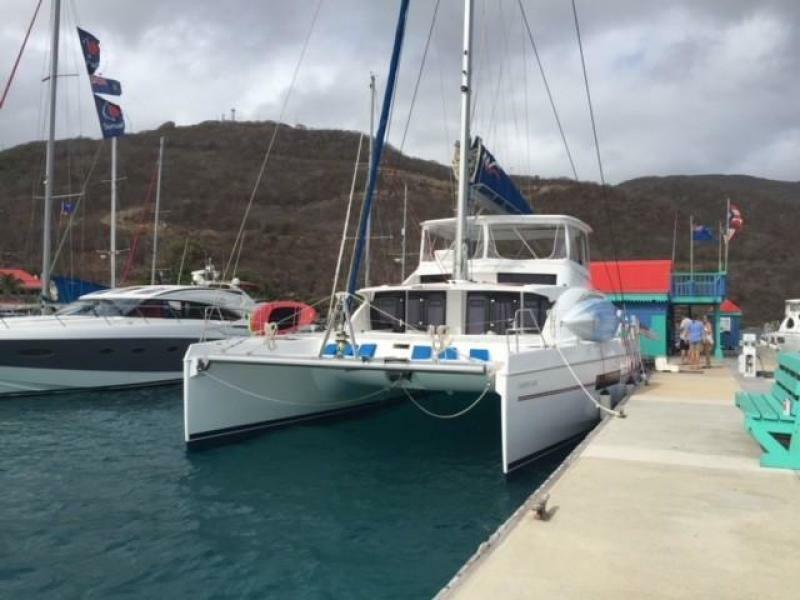 United Yacht Sales New Jersey would love to guide you through a personal showing of this 58' Robertson & Caine Leopard 58 2013. 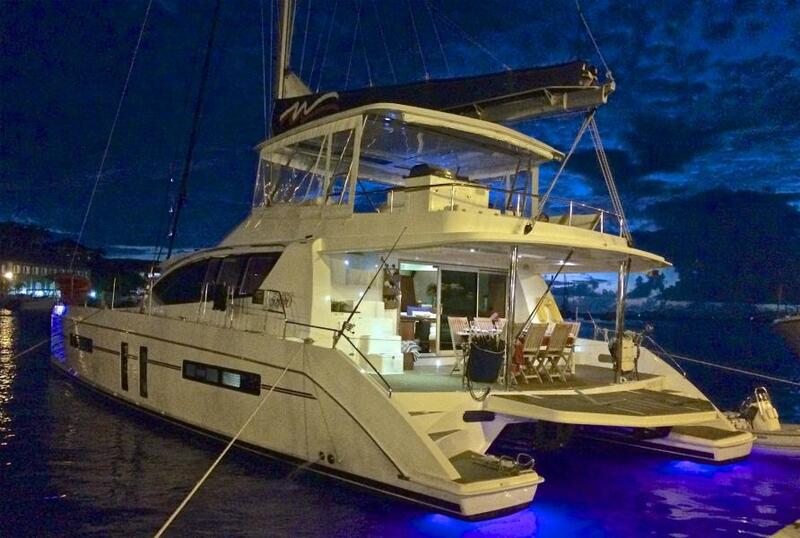 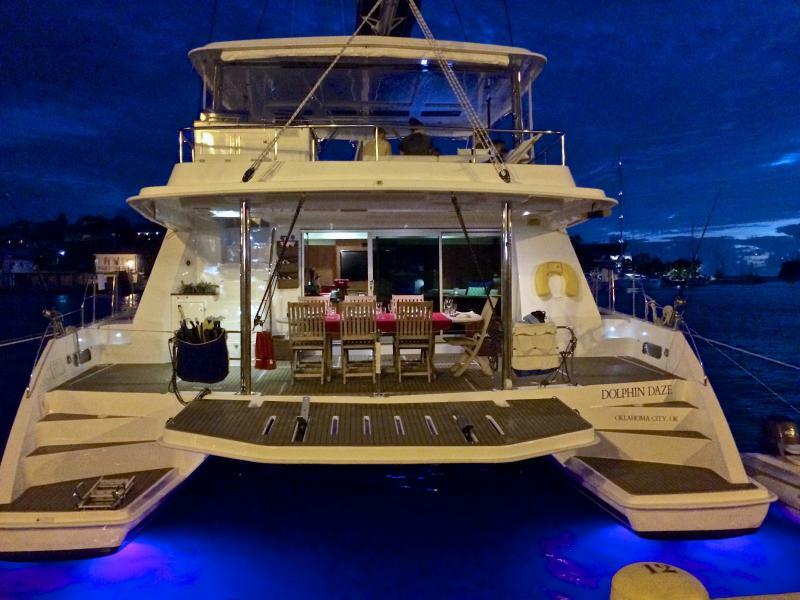 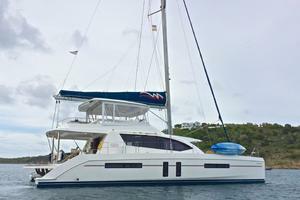 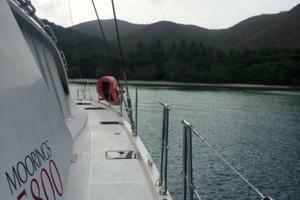 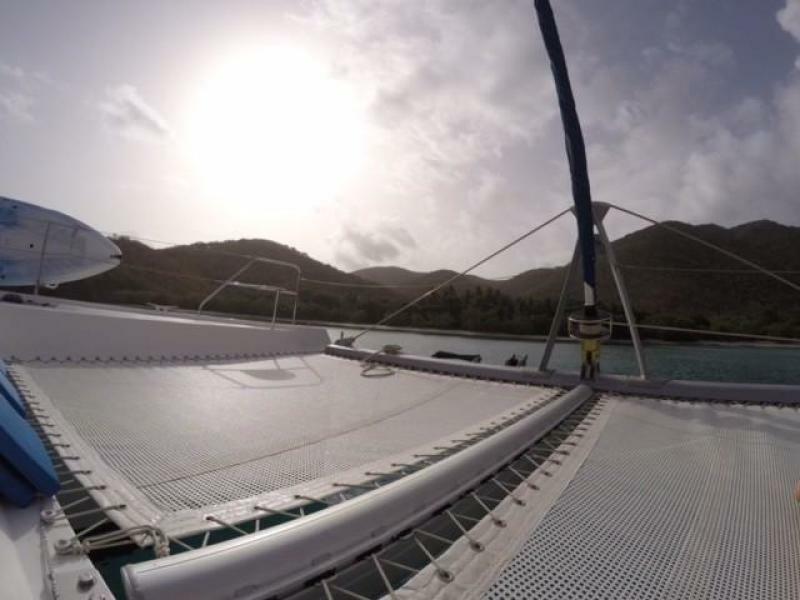 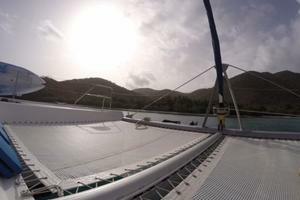 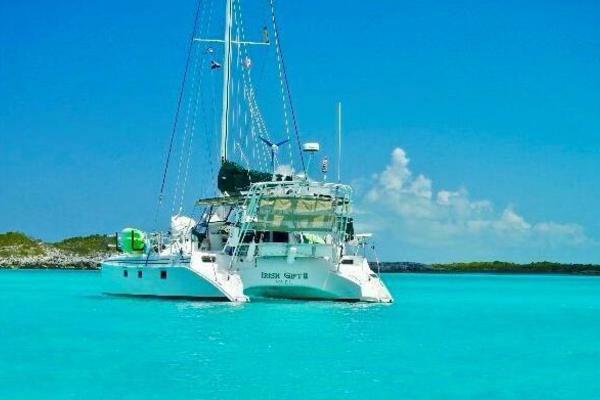 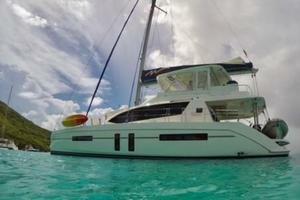 This yacht for sale is located in Unknown Antigua & Barbuda and priced at $999,000. For a showing please contact us by filling out the form on this page and we will get back to you shortly! 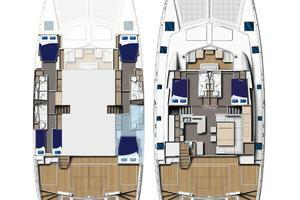 Toilets:7 Showers:8 Lenght Overall:57'7'' Beam:27'9'' Draft:5'11" Sail Area:2010 sq ft Water Capacity:412 gal. 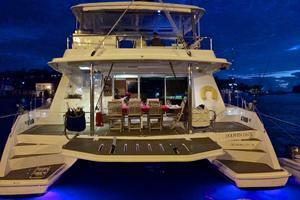 Engine:2 x Yanmar 100 hp Fuel Capacity:238 gal.